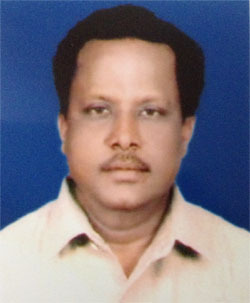 Port Blair, Sept. 17: Shri M. Nagarajan, owner of NK group of companies passed away today at his residence at Phoenix Bay, Port Blair. The reason for his death is learnt to be cardiac arrest. Shri Nagarajan, apart from being an industrialist, was a noted social worker rendering his service for the upliftment of the poor islanders. His death is considered a great loss to the society. The mortal remains of Shri Nagarajan was shifted to his native place near Madurai today, where the last rites will be performed by his son. He is survived by his wife, three daughters and a son. Andaman Chronicle mourns the sad demise of Mr. Nagarajan and prays to the Almighty to give eternal rest to the soul of the departed and strength to the bereaved family to bear this irreparable loss. The President and Members of Hotel & Restaurant Owners Association of Andaman (HRAA) have also conveyed their condolence to the bereaved family. Meanwhile, the President of Association of Tour Operators Shri M. Vinod has also conveyed his condolence over the sad demise of Shri Nagarajan.